Think I'm now getting into the territory of actually having to look some stuff up before claiming any more of these. Looking forward to it! Yeah this has been an unexpectedly fun experience so far. Watched﻿﻿ a fair bit of Sorastro's painting channel recently ﻿and﻿ he﻿ really shows how to get a good gradient of colour and﻿ value across a large area in no time. Would you mind telling me a video that shows this? Descent "Ettin" (skin specifically) and Star Wars "Jabba the Hutt" spring to mind. I'd imagine most of his latter videos that include a larger model do that though. 2: M﻿ike-Mack: Try painting a miniature in the Games Workshop Style. 8: Victorian﻿ Painting: Use an object-source-light﻿ing effect. 9: Buddhist: Use the non-metal-metal painting style. 12: Homeopathy: Use a glazing technique on a miniature. 3: Thin y﻿our paints, must﻿ you: Give constructive advice to a fellow painter. 8: Donatello wasn’t just a turtle: Try out your green stuff sculpting skills. 12: Let’s get a little crazy: Paint some freeh﻿and, Trompe-l'œil, or patterning effects. 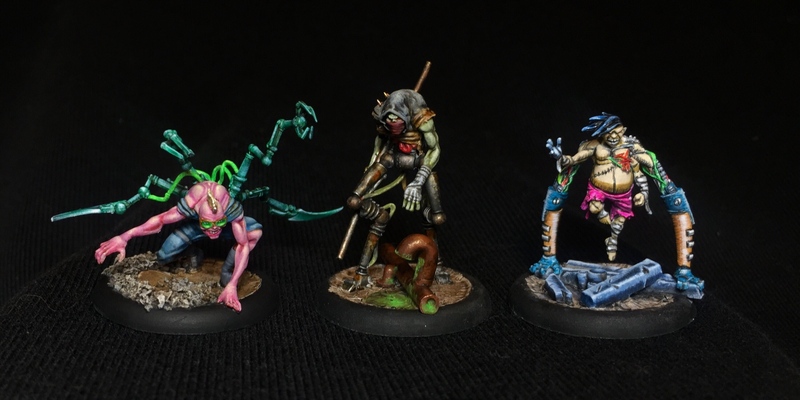 6: Old School: Paint a metal Wyrd miniature. 9: …and I’ll form the head! : Paint a big stompy robot. 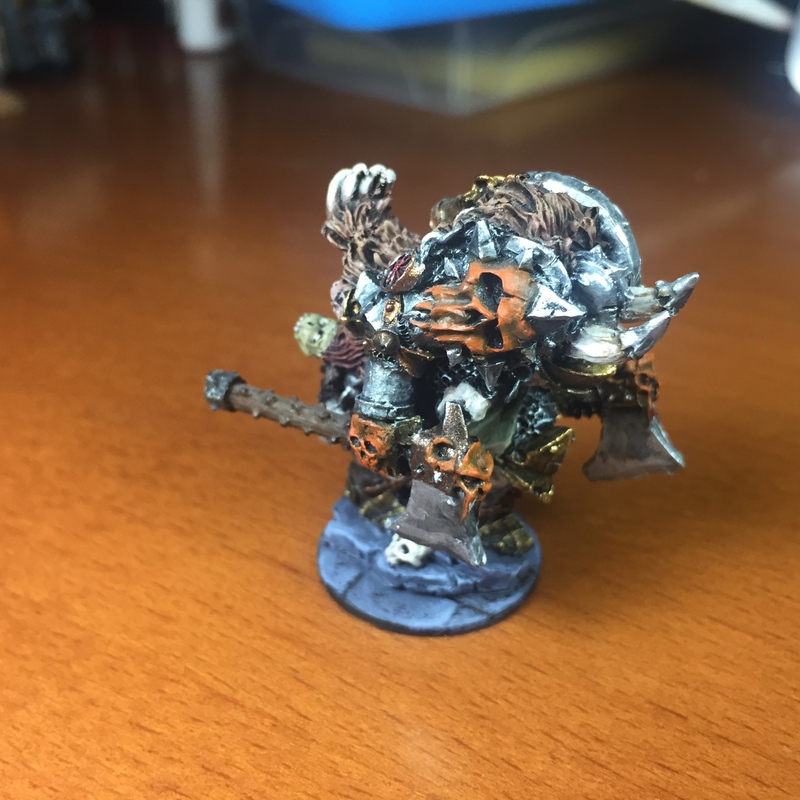 12: Pro Painter: Repaint someone else’s miniature (preferably from eBay). 1: Wham! Use a fluorescent paint. 3: S﻿aturation: Use i﻿nks on a miniature. 6: Mastery in a bottle: Use Umber Wash, Agrax Earthshade, or Vallejo Smoke on a miniature. 9: It’﻿s the consistency, not the taste: Use a water effect, blood effect or texture effect on a miniature. 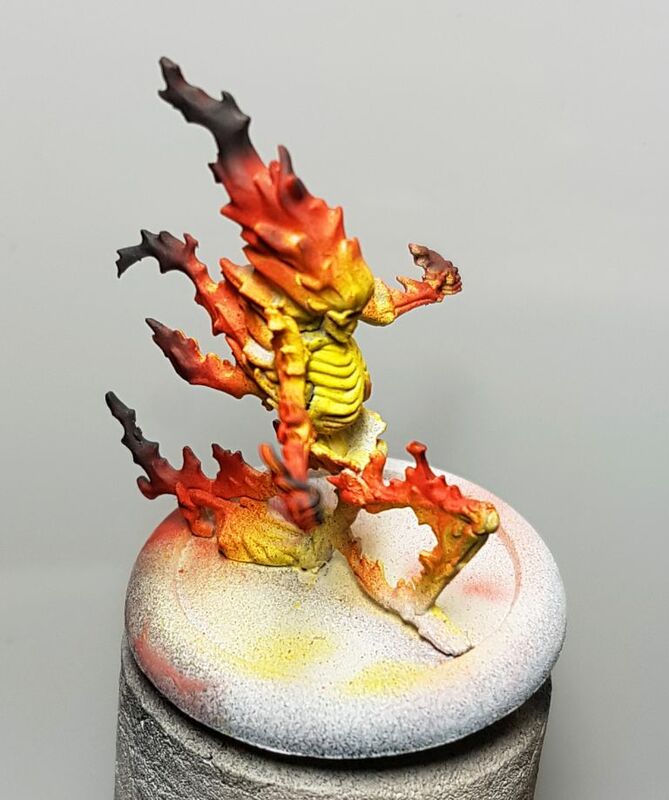 11: Under pressure: Use an airbrush on a miniature. 12: It puts the lotion ﻿on its skin: Us﻿e a dip te﻿chnique. (GW Style), and lots of Agraz Earthshade! Airbrush, glazing, non-metal metal, and inks! A big, stompy, PITA robot. So, I'm claiming 16 cards! More importantly, even though I wrote the deck, I'm enjoying the challenge! 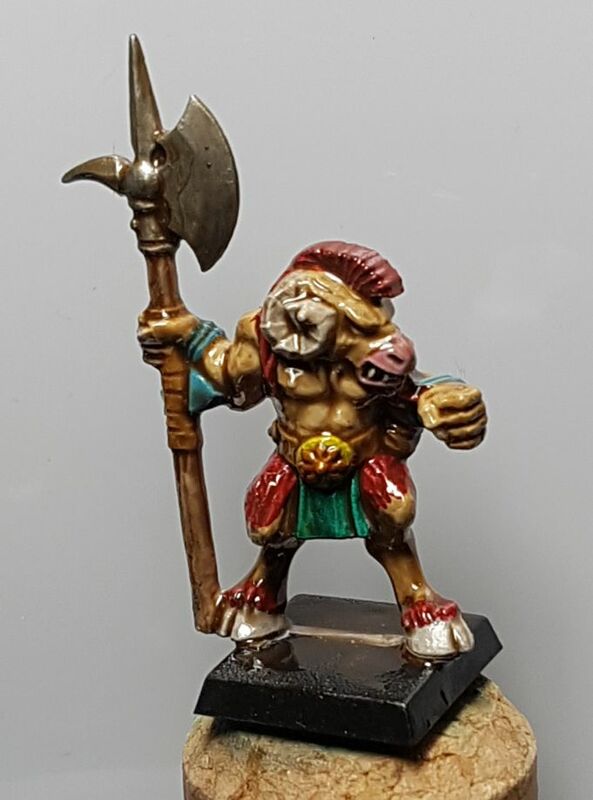 This is a barbarian from MOM miniaturas, a very affordable minis brand, I use it for a custom Zombicide black plague character. 13 - My eyes! the googles do nothing! Mini is somewhat challenging to read Breaks are hard yeah. I haven't had any really long ones yet, but it's always a bit clumsy for the first few minis. I've been wondering what my worst mini might be. Haven't quite narrowed it down yet. 5 - You're all individuals!